Chuck Garric is no stranger to large crowds and big tours. His bass duties for such rock and metal legends as Dio, LA Guns, and Alice Cooper have given him quite a resume. But one thing that stays the same after playing in front of millions of people over the years; Chuck Garric is still the same music fan he was as a kid. When not on tour, Garric resides in Nashville, TN as part of the long line of rockers that have made their way to the Southeastern hotbed of music. On a random weeknight you can see Chuck, along with members/ex-members of Motley Crue, Thin Lizzy, Accept and many others jamming out to some of the songs that got them hooked on rock and roll in their early years. Aaron and Chris were fortunate enough to grab a coffee with Chuck just before he left for Europe to hit some big festivals with Alice Cooper as well as gearing up to co-headline with Motley Crue on their final tour. 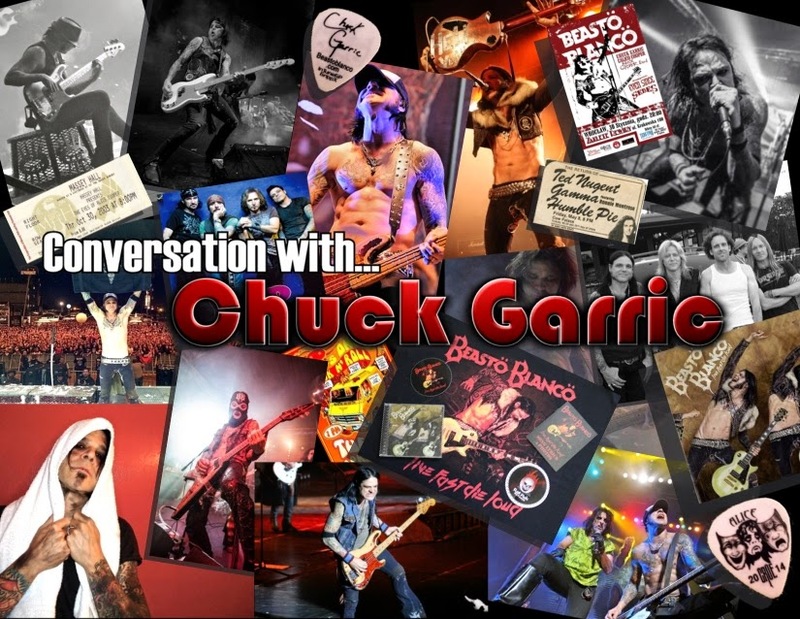 In this discussion, Chuck goes back to his Lake Tahoe, CA roots to describe his musical upbringing, the awesomeness of Ted Nugent, his thoughts on American vs. European audiences, and the likelihood of Alice breaking the drought of DaDa songs in the setlist among other things. Matt Ashcraft, Joe Lascon, Chris Karam, Shane Hartley, Todd Cunningham, Robert De Pasqua, Lee Maslin, Brent Walter, Steve Langenbrunner, Matt Syverson, Andrew Jacobs, Derik Novak, Miguel Nunez, Rodney Dickson, JTB’s Groovy Record Room, Sit and Spin with Joe, Scott Yeager, Andy Lafon, KISS Army Omaha, and George Savastano.